From 10.30 am until 1 pm. Although not strictly necessary, we recommend that participants create an Instagram account, and take with them a smartphone or tablet with the app already installed. Bookings will end on 30th March 2016, and, as reservations for the course will be accepted according to booking order, please note that a limited number of places are available, and that bookings will only be finalised once the form has been completed, and payment has cleared. Please also note that we reserve the right to cancel the workshop, should the minimum number of places fail to be achieved. Using mobile telephones within everyone's reach, anybody can take a photo, retouch it and put it on the Internet. This workshop will concentrate on how to achieve this using INstagram, a photographic social network with more than 400 million users worldwide. How the app works, what kinds of photos may be taken, how to retouch them and how to attract followers, are among the themes dealt with in this course, combining theory and practice. 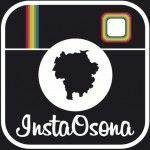 What is Instagram, and what use is it? Jèss Carol (@jesscarolbr) has been on Instagram since April 2012. Restlessness has turned her into a social media manager. She is a Catalan philologist by training, and a communicator by accident. After writing articles for various media, she presently works in the Gastronomic Forum's communications department, and also collaborates with various organisations. Marc Güell (@marcguell) has been on Instagram since August 2011. Curious about social networks (basically Twitter and Instagram), he attempts to communicate using an image and a few characters. He is a journalist and, since 2007, has been working in RAC1's editorial department. He also collaborates with organisations in Osona to help them take their first step into the virtual realm of the Internet. 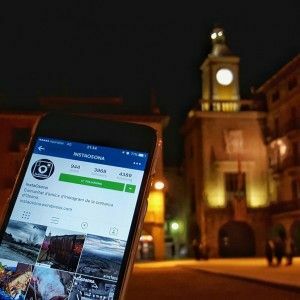 Both are creators and managers of InstaOsona, the Instagram community in the county of Osona which after two years has almost 3,700 followers. Since its creation, the community has organised more than 40 contests within the county. Saturdays, 11 am until 2 pm, and from 5 pm until 8 pm. 15 hours in total, split among 5 3-hour sessions. Course to be held at EASD de Vic [Rb. Sant Domènec, 24], at ACVic. Centre d’Arts Contemporànies [Sant Francesc, 1. 08500 Vic] and at Creacció [Carrer Dr. Junyent 1]. A collaborative promotion between ACVic, Creacció i l’EASD de Vic. This course is intended as a guide for learning the various elements needed to pursue a career in the creative field. 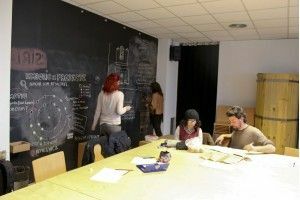 How to start, maintain and manage a project, a studio, a workshop, a partnership or any other self-management initiative, whether individual or collective, linked to the cultural and creative sectors. The course takes into account the complexity of realising an idea, and the aspects of management and projection needed to achieve lasting sustainability. This professional sector is basically made up of the self-employed, of small businesses, cooperatives or associations with few staff, who in most cases must cover the various tasks involved. The course is aimed at people who are, or who might form, part of this scene. Designers, artists, architects, workers in cultural management, professionals in the creative sector or students in professional training, anyone with an interest in learning tools for approaching project feasibility studies, organisation and management techniques, and the legal and financial criteria to take into account when developing economic activities in the cultural and creative sectors. 1st session: With Judith Saus. 2nd session: With Carme Saez. 3rd session: With Ruben Guilanyà. 4th session: With Joan Morey. Presentation of the professional career. Management and dissemination of artistic production. 5th session: With Ruben Guilanyà. Managing bills and invoices. Particular details with regard to associations and collectives. Ruben Guilanyà, licenced in Law and Philosophy. He is a lawyer in l’Il·lustre Col·legi d’Advocats in Barcelona. He currently works as an assessor of collectives working in the visual arts, and in theatre. Joan Morey, artist and educator, principally in the audiovisual and arts marketing sectors. Judit Saus, entrepreneurial specialist with Creacció, the Agency of Entrepreneurship, Innovation and Teaching. Carme Saez, Project Coordinator with Fàbrica d’Impuls, specialising in business innovation.